Each beautifully decorated design in the range gives you a wealth of information on your birth sign, including the appropriate date range, element, gem stone, flower, ruling planet, character traits and much more! 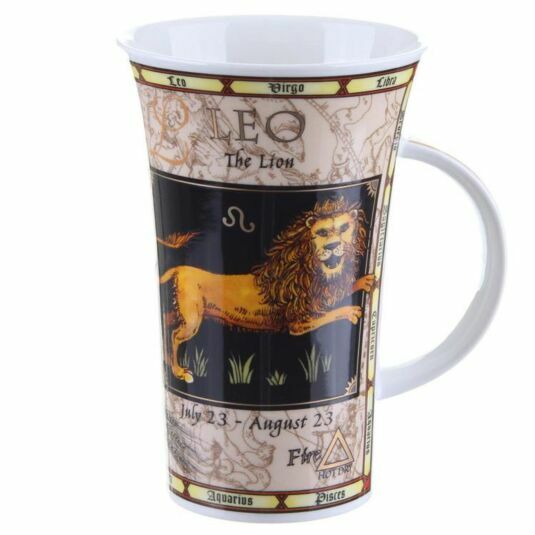 This is part of a truly exceptional range of mugs, which always make very popular presents. 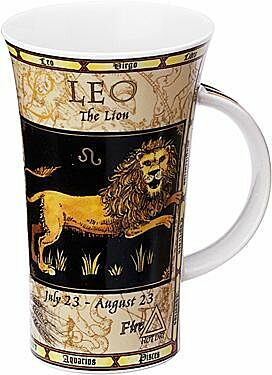 Give this Leo mug to someone born between 23rd July and 23rd August.